Colorful little sharpener with the added benefit of a flip top lid to make sharpening your pencils a neat and tidy experience. Made with polystyrene and steel. 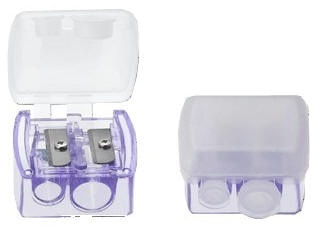 The pencil sharper features a side-by-side dual pencil sharpener with flip-top lid.